Ring in 2019 at Bothwell Bridge Hotel! 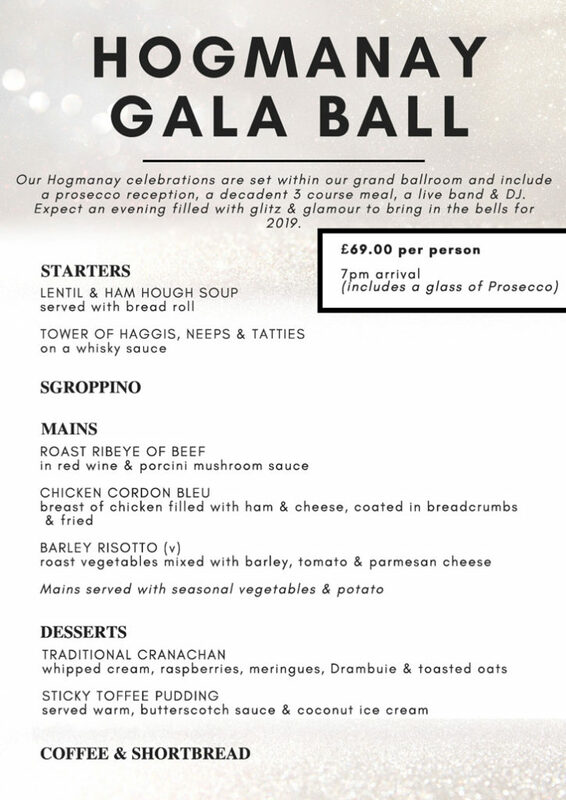 Celebrate Hogmanay in style with a night of glitz & glamour in our stunning ballroom! Our Hogmanay celebrations are set within our grand ballroom and include a prosecco reception, a decadent three-course meal and a live band & DJ. Expect an evening filled with glitz and glamour to bring in the bells for 2019! Why not treat yourself to a convenient overnight stay at our award-winning hotel? Check-in from 4:00pm and enjoy getting ready in our first-class accommodation. After the party, you can head back up to your room for a glorious night’s sleep – no travelling required!